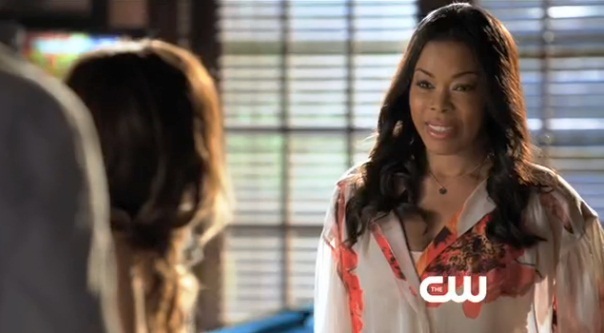 *Golden Brooks is an ex-girlfriend in more ways than one this fall. 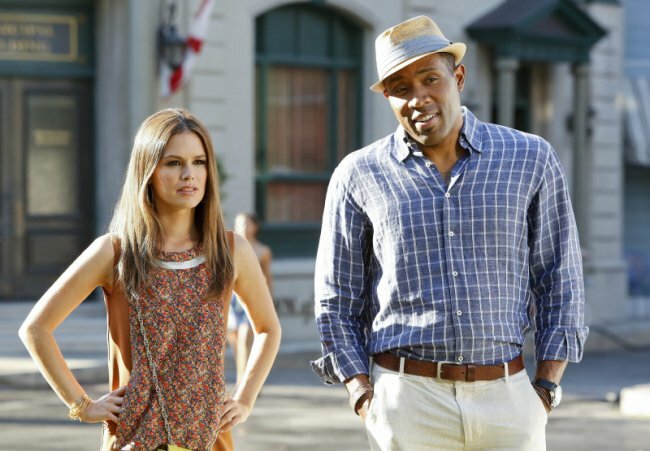 The ex “Girlfriends” star will play a recurring role in The CW’s “Hart of Dixie” this season as the ex-girlfriend of Cress Williams’ character Lavon Hayes, a linebacker who spent a decade in the NFL before becoming the mayor of the show’s fictional Southern town of BlueBell, Alabama. The fish-out-of-water series revolves around the character of Dr. Zoe Hart (Rachel Bilson), a fast-talking, New Yorker who after her dreams of becoming a cardio-thoracic surgeon fall apart, accepts an offer to work in a small medical practice in BlueBell. Brooks, who is returning to The CW after playing Maya Denise Wilkes on the network’s “Girlfriends,” joins “Dixie” as Ruby Jeffries, a successful woman with acerbic wit who returns to BlueBell and becomes fast friends with Zoe. But Ruby must also face her unresolved issues with Lavon. Outside of Ruby and Lavon’s season-long “dance,” Williams said there will also be changes for his character politically in season two, which premieres on Tuesday (Oct. 2) at 8 p.m.
“There’s going to be a reelection. It’s an election year, so that’s gonna be fun,” he added. Yes, the former NBC drama has been off the air for nearly two years now, but the show’s rabid fan base lives on, and Williams is reminded of that quite often. “Sometimes they come up and they’re really thankful. They’re fanatics. They love the show,” Williams told EURweb of his “Friday Night Lights” fan encounters. Although Ornette’s intentions were always in the best interest of his son – East Dillon High’s star quarterback Vince Howard – they were always rooted in his old criminal ways. One time, he stomped the hell out of a neighborhood thug that was threatening his boy. Another episode saw him resorting to street hustling to help pay off a debt owed by Vince. Ornette also went against Coach’s wishes and spoke to different college recruiters directly on his son’s behalf, which of course ended in disaster. He meant well, but his efforts ultimately came off selfish. 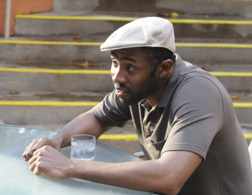 Below, Williams says once fans get over their hatred of his “FNL” character, they usually go on to praise his portrayal – and the series as a whole. Cress’s real life is alot more scandalous than this show. Just ask Alice Issac or Kristin Torrianni. What a piece of work. and shame on you Kristin. Talk about scandalous! How much you wanna bet Kristen Torrianni joined Mosiac just to get to Cress? Then he falls for a woman who was working with his current longtime girlfriend at the time? How low can you go?